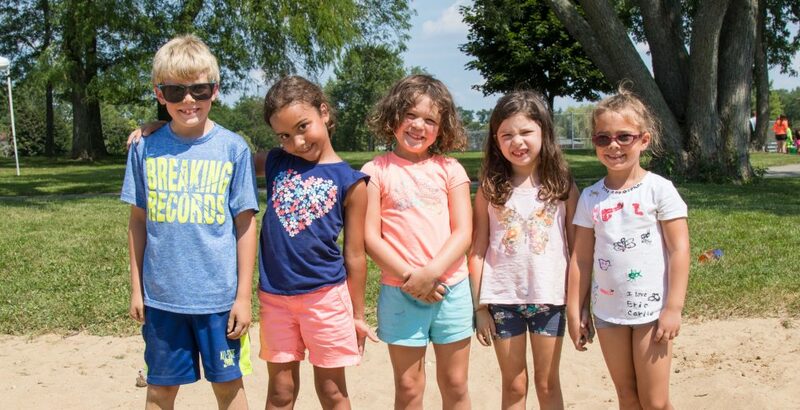 The Vernon Hills Park District summer day camps feature adventure packed days including field trips, water park visits, swimming, sports, crafts and more! All camps fill on a first-come, first-served basis and early registration is encouraged. Each camp is supervised by qualified camp directors and counselors who are first aid and CPR certified. NEW DAY CAMP FORMAT in 2019! All day camps are offered in 8 one-week sessions to offer more flexibility for family schedules. 2019 Summer Day Camps – All ages listed are of the 2018/19 school year. Click on each camp name below for details specific to that particular camp. Required Swim Test – Campers are required to pass a basic swim test to be able to swim at the Family Aquatic Center during camp. No test is required for Explorers and Lil Rascals. Campers must attend one swim test date at the Family Aquatic Center: June 7 from 4-6 pm or June 8 from 9-11 am. Camp Lunch Option – On the two days per week that your child goes to the Family Aquatic Center (refer to your child’s camp calendar), Bobo’s Restaurant will provide lunch with four meal options. In the event of inclement weather, Bobo’s will deliver meals to the campsite. Refund Policy – For refund requests made prior to the registration deadline, a full refund, less a $5 service charge per camp/per child is granted. For refund requests made after the registration deadline, a full refund less a 25% service charge per camp/per child is granted. Camp refund request forms are available online or at the Sullivan Community Center. Identification is required to pick up your camper at the end of each day. • A $50 deposit is due at the time of registration. • The balance will be charged in 2 equal installment billings on 5/5/19 and 6/5/19. • 50% of the camp fee is due at the time of registration. The remaining 50% will be charged on 6/5/19. Registrations 6/5/19 and after require full payment at time of registration. *Credit/Debit card authorization is required for payment schedules. The payment schedule does not apply to the following camps: CIT, Explorers, Lunch Bunch, Extended Day, and Last Blast Extended.